A clear winter's night during a full moon is a rare treat in the mountains. The snowcapped peaks reflect enough light from The aptly named "Snow Moon" that it is possible to see for great distances with your naked eye. 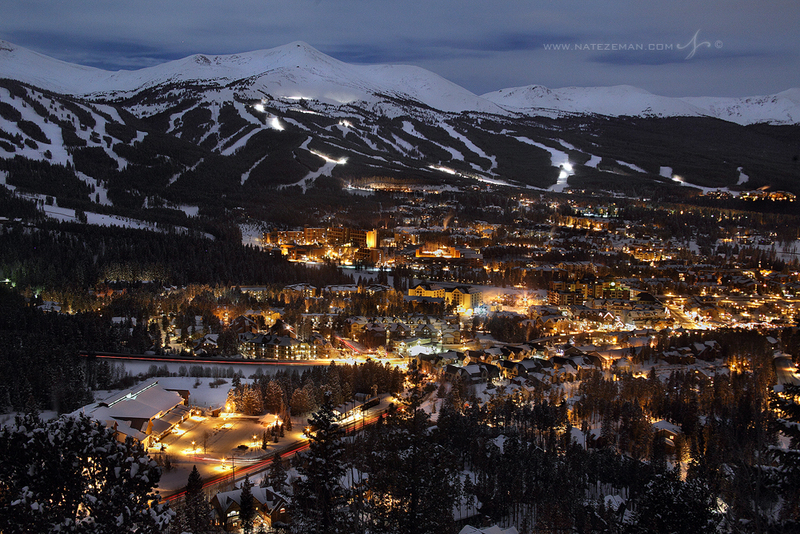 Breckenridge is a beautiful sight at any time of the year, but there is an extra special quality on nights like these.